Going to Barcelona, Spain. Anyone been there? My son is there for this next college semester and my wife and I are going to meet up with him for a few days then take an Eastern Mediterranean cruise. Can anyone give some advice on 4-5 star hotels in Barcelona, or any other advice for that matter? What not to miss and what to stay away from? I spent a couple weeks in that area a few years ago. I would suggest you check out the architecture by Gaudi. It's some pretty amazing stuff. Nice, clean, safe and interesting city to visit. Gaudi - the Familia Cathredral which is still bneing worked on. Frankly the ugliest thing I have ever seen but still a must do. Guy must have been a bit of a fruit loop, and when you see the cathedral you will understand why I say that! You MUST walk the Gothic area and climb to the roof of the old cathedral. Some streets are so narrow you can reach out your hands and touch both sides. Also try and take in a Barcelona FC game at the Camp Nou - the season is going strong then. Take some warm clothes. even though it is on the Med, it will get chilly in the evenings in February. Was there last year, great city, nice waterfront area, Olympic village were right there in the waterfront area. Beleive it is Tibidabo Funfair, Go there and up to the top for one heck of view of Barcelona and the MED, and there is a mini carnival right outside of it..wild stuff. We stayed here. not far from the waterfront,main part..nice place. There is a lot of other Gaudi architecture other than the cathedral. I liked the Casa Batila, myself. I was working with the locals ( Guardia Civil) and one of the sub drivers was an archetecture nut so I got the whole nine yards. Also you might be interested in the full size replica of a wooden submarine ( it worked! ) down by the harbor. I haven't been since 1970. I found some great wine. don't remember anything after that. If you like seafood, you'll LOVE the harborfront area. There are dozens of restaurants lining the water and serving fresh seafood (and pretty good booze too). 1987 for me. 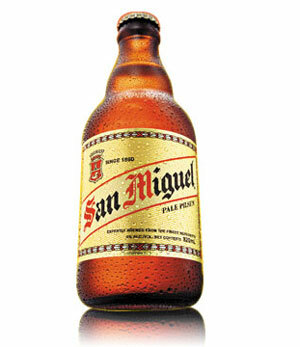 San Miguel beer and sangria..
San Miguel WAS the beer of choice! Or a La Momba (mud-slide). One day I will regail you guys with the day I drank a wee bit too much and signed a waiver before stepping onto a bullring! Must dig out those pics! Here, go visit my gallery for some photos. Went on the NCL Jem last June, had a great time. Looking into The Marina View Bread and Breakfast for the first three days then board the ship. We have read some very good reviews and the location is good. If you have any info on the ports of call or the excursions available at different ones please let me know if you would be so kind. In the OP I stated the Eastern Med, I should have said the Western Med. Thank you to everyone for your input so far. I love Barcelona, a lot of good suggestions already, I have Stayed at the Hotel Regina twice, just off Plaza Catalunya, this is where all the tours originate. I suggest do the HOp off and on bus, do it early, it will get crowded, Lots of good restaurants everywhere, but get off La Rambla for better and less expensive food. You can walk most everywhere, but it is a safe city, but watch out for PICK Pockets in crowded tourist places it is a occupation in all of Europe, but they will not harm you or touch you, that is a crime, picking pocket is not a real crime I guess. Take a tour up to Gerona and down to Terragona for a change if you have the time. The people watching is wild, and there few if any fat people in Barcelona, I guess I will always look like a tourist. Try the Mercat on La Ramba for lunch, sorry for the misspelled words. To get hyped for Barcelona, try this link, it is the essence of Barcelona. Here are some photos from Barcelona. When we were there they were setting up for the Red Bull Airplane races on the beach. It was going to take the weekend we were to return from the cruise. Could not stay, had to catch a plane. On the beach where the plane races would be held. Check out some of the youtube video. Sharp turns, loops, pulling up to 10 G's. I will try to post some more pics on the photo forum.